Here comes Peter Cotton Tail so put away your Easter bonnets because you're going to want her to wear one of these Hoppining' Easter Hair Bows! 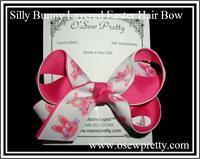 O' Sew Pretty's extensive selection of pastel colors allows you to create just the hair bow you want without the custom pricing. Enjoy a sample of our best selling Easter items with more to come soon! The perfect combination of style and comfort creates this adorable accessory. Choose from an array of gingham checks to design your very own look. Yes, this EASTER HAIR BOW has actual Easter grass in the center! 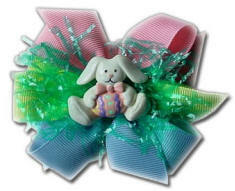 The pastel ribbon and Easter charm will have your little girl hopping down the bunny trail. Hippity, Hoppity, Easters on it's way. 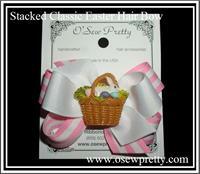 But not without this perfect bow in your choice of ribbon color and your favorite Easter charm. 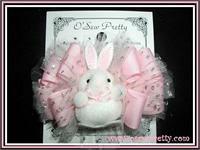 She will be sweeter then a Jelly Bean in this little bunny hair bow! 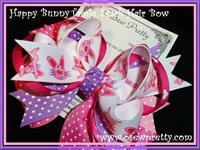 This perkey little bow is a perfect Easter accent. Show the little girl in your life just how much she is loved when you give her this Easter Hair Bow. Friendly Bunnies layered on hot pink. A Silly little bunny layered on Shocking Pink. 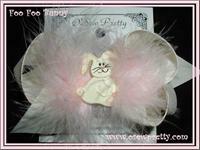 She will be sweeter then a Jelly Bean in this foo foo fun Easter bunny hair bow! 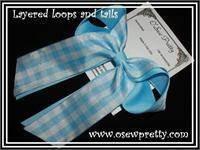 Our original Loops with tails hair bow is the perfect Easter hair accessorie. Our smallest version of the English Standup. 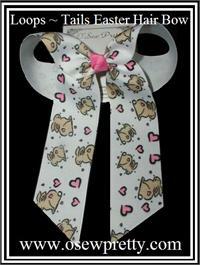 This perkey little bow is the perfect Easter accent. Made especially for the little Easter Princess in your life. 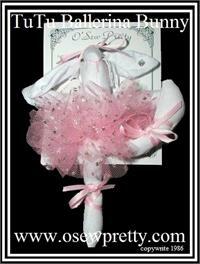 Made especially for the little Easter Princess in your life. 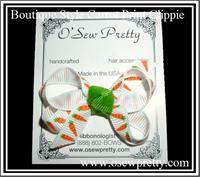 Availablein 5 Great sizes and two hair bow styles. Wonderfully fun and festive, our classis twist hair bows will add just the final touch. 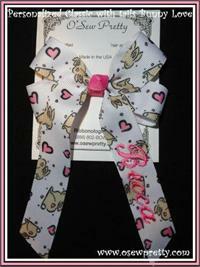 The perfect combination of style and comfort creates this personalized Bunny hair bow. 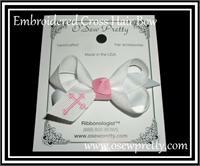 Let her show her love for Christ all year long with this perfect hair bow. 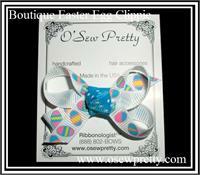 Easter Peep print ribbon stacked on spring colors. Available in 3 Sizes. Sweet jelly beans combined with hot pink polka dot, orchid and lime solids then accented with black pin dots, adorn this designer pony streamer. Makes a great Easter basket surprise that she can wear all year long. The same Classic Collection design with an array of Easter ribbon choices. 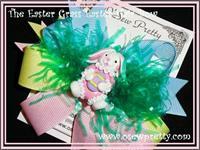 Lots of colorful Easter bunny printed ribbon spiked just right . You choose the color for this hair bow and we will add the glam! A wonderful combination of bright EASTER EGGS and accented with a hot pink button, monogrammed in a white swirl initial . Lots of Festive Holiday ribbon stacked just right then embellished with a Holiday charm. 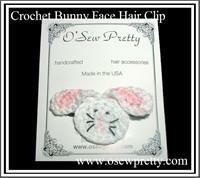 A Embroidered Easter Bunny that you choose the colors to make it a perfectly matched hairbow. 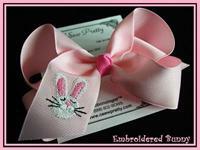 This Bunny hair bow is sure to make her HOPPY! Available in 3 Sizes.